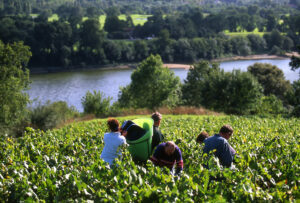 Nestled in the heart of France, the Loire Valley overflows with natural beauty. Pastoral farmlands and spectacular castles dot the banks of the region’s namesake river as it winds through the valley, earning it the moniker “the garden of France.” This UNESCO World Heritage site rewards visitors with mouthwatering local fare (namely fresh water fish, country pâtés, and goat cheeses) and myriad vineyards producing some of France’s most notable and sensational Sauvignon Blanc varietals. It is the second oldest A.O.C. (appellation d’origine controllée, ie the name given to the area of origin) after Chateauneuf-du-Pape, and the largest A.O.C. for white wine production. 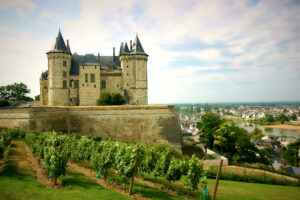 While other white grape varieties flourish in the Loire, seventy-five percent of what is grown here is Sauvignon Blanc. A chilled Sauvignon Blanc is characteristically refreshing and crisp. Bright acidity, high minerality and notes of citrus, fresh herbs, honeysuckle and white fruits (e.g. white peach, pear, apple) delight the palate. Depending on the terroir, the wine may have a tad more flint character (think “damp pebbles”) or grassiness on the nose which adds a minerality and earthiness on the palate. 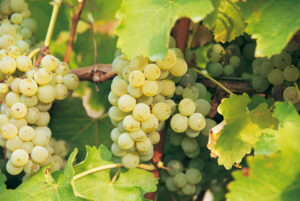 Sauvignon Blanc is a hearty varietal that buds late, ripens early, and thrives in the Loire’s cool climate. The unique soil in the appellations where Sauvignon Blanc is cultivated is often referred to as “Kimmeridgian.” Its combination of chalky clay, limestone, and crushed seashells adds acidity to the wine and gives Sauvignon Blanc its zesty character. In areas such as Pouilly Fume the soil mix contains siliceous limestone containing silica which imparts the smokiness (“fume”) to the wine. 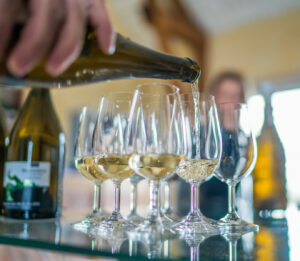 Fans of French Sauvignon Blanc may already be familiar with the two most well known areas of the region: Sancerre (in the Centre-Loire region) and the neighboring Pouilly-Fume. Those wanting to dive deeper into Loire’s catalogue of whites may want to explore varietals produced in the three smaller regions of Reuilly, Mentou-Salon, and Quincy. Another significant area of Sauvignon Blanc production with its hilly regions and pleasant sunnier, less rainy weather, is Touraine. Located just west of Centre-Loire, it is home to many historic and breathtaking chateaux where tourists love to come and marvel at their architectural beauty. When my husband (also a wine writer) and I tasted a selection of Sauvignon Blanc wines, we found that the ones from Touraine had a more subtle minerality and more of a citrus and honeysuckle essence. The Sancerres had a vibrant lemony and white pepper character and the Pouilly Fumés conjured up a slightly musky oyster essence without the brine. This may be because the soil of this particular region contains a larger amount of crushed oyster shells. A wine for many foods. 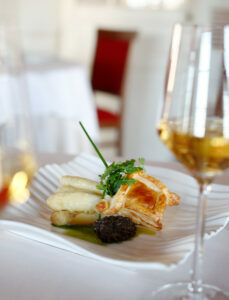 Sauvignon Blanc is a food-lover’s wine. The Loire versions pair particularly well with a wide array of delectable foods including: shellfish, herbed chicken, pasta primavera, vegetable tart or sautéed vegetables tossed with herbs. 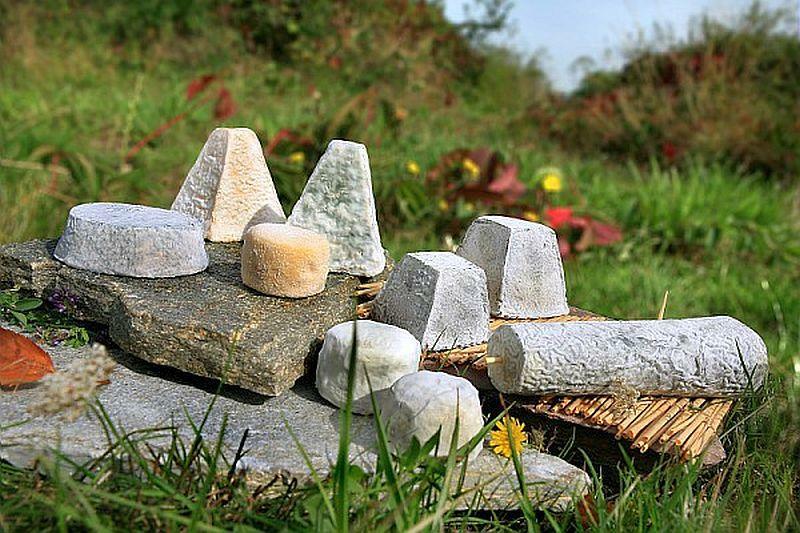 Cheeseophiles will enjoy pairing the wines with both fresh or aged goat cheese, or any one of the Loire’s six A.O.C goat cheeses; the most popular of which is the cylindrical shaped Crottin de Chevignol. While many consider Chablis the perfect match with raw oysters we conducted a comparative tasting of oysters and wines and found the a Sancerre to be just as pleasurable, especially with the plump, slightly sweeter West Coast oysters. Even better, try a plateau of crustaceans to savor with this refreshing, versatile wine.